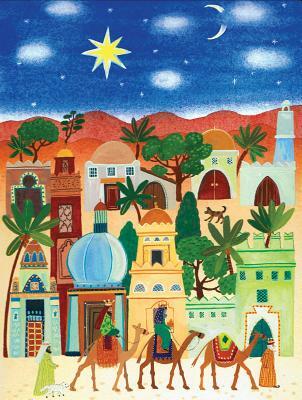 The Star of Bethlehem shines brightly above the birthplace of Christ on this charming notecard set from Galison. On the card front, an exceptional illustration by artist Claire Winteringham speaks to the history and significance of the Christmas holiday. The interior greeting reads: "May the spirit of Christmas fill your heart with hope, love and joy."